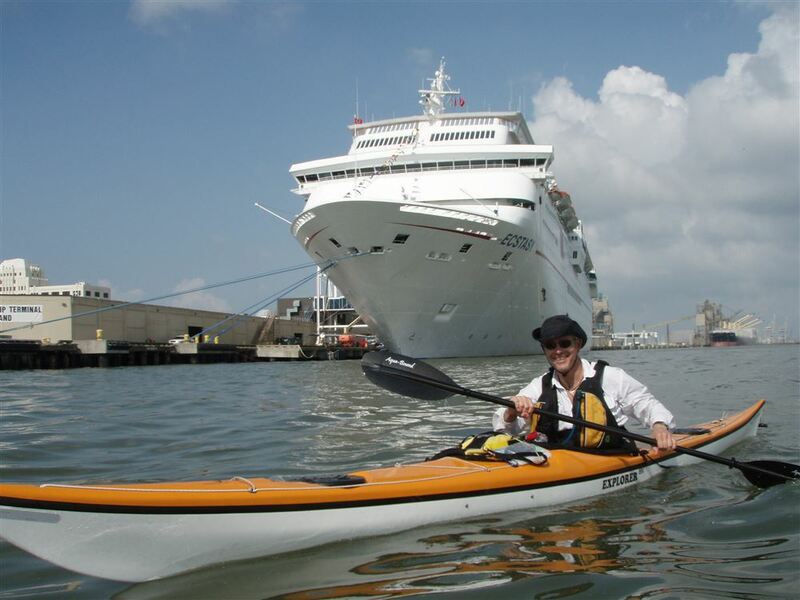 HASK runs a wide variety of trips that are of interest to sea kayakers. 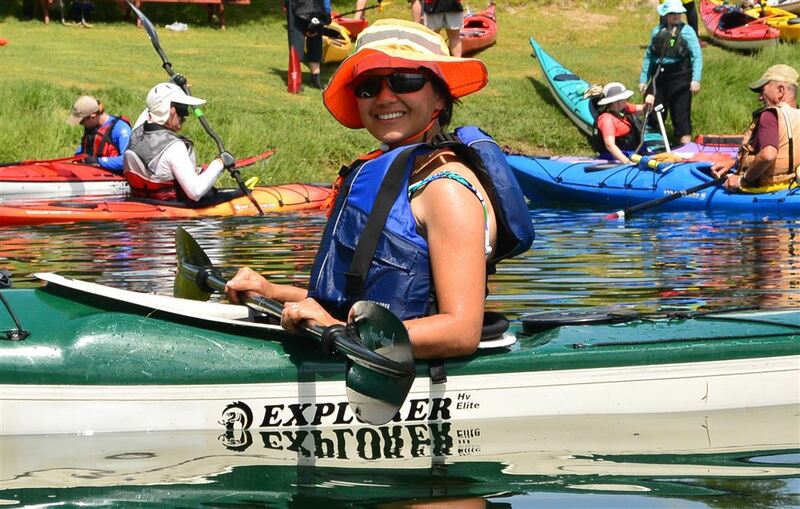 Our trip leaders run trips for all levels of kayakers from beginners to experts. Each trip on the event calendar is rated so you can decide if a particular trip is appropriate for you. On average each year about 25% of our trips are rated at level 1 (beginner), 60% are level 2, 10% are level 3, and 5% are level 4 or 5 (expert). Scroll down or click on a link below to find a short sampling of the trips and events that the club typically runs each year. Or check out the club's event calendar for a full listing of upcoming trips with their ratings. 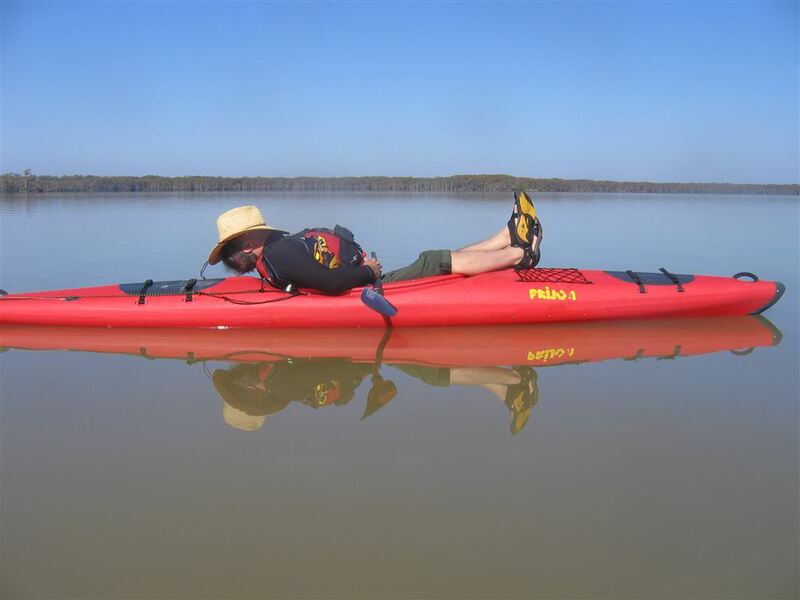 This 4 mile level 1 paddle winds along a quiet, wide, flatwater bayou that provides plenty of opportunities to connect with fellow paddlers and take in the scenery. On this trip you might see turtles and fish and possibly even some of the wild green parrots that inhabit the area. This trip includes a lunch stop at a popular local Mexican before returning to the put in. This 8 mile level 1 trip puts in at a boat ramp on the Intracoastal Canal in Brazoria, TX. This trip follows the San Bernard River as it makes its way downstream towards the coast. We land at a protected lagoon that was formerly the river channel, and walk across sand dunes to the Gulf to relax, beach comb, and have lunch before returning to the put in. This area is a nature preserve; wild pigs and coyotes have been spotted on previous trips. This 2.5 mile, level 1 trip starts at under the Main Street Bridge on Buffalo Bayou near downtown Houston, then proceeds upstream to the Waugh Drive Bridge. At sunset you'll watch a quarter million bats leave their roosts in search of their evening meal. After returning to the put in we congregate at an area restaurant for our own evening meal. 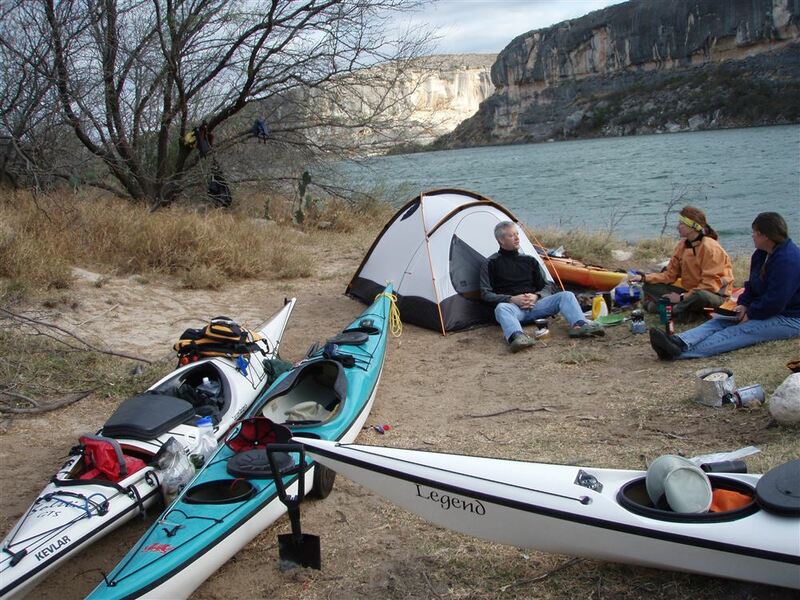 Trinity River A one-way, 26 mile paddle along a natural Texas river with limited development, this trip starts 4 miles outside Moss Hill and heads downstream to Liberty, TX. This is a moderately easy level 1 paddle with a rest and/or lunch stop. This trip runs about 4 - 6 hours on the water with an extra 1 - 2 hours for shuttling boats. The Quarantine Shoreline is a jewel on the Texas mid coast located roughly 185 miles southwest of Houston. Its bays and passes offer undisturbed shorelines studded with mangroves and quiet coves that are perfect for studying wading birds, sea turtles, and for casting a line to catch a tasty redfish. This level 2 car camping trip spans 3 days and includes paddles to Mud Island and the Lydia Ann lighthouse, where dolphin pods are regularly spotted. The Neches River is one of the more popular and scenic waterways in Texas. On this 4-day, level 2 kayak camping trip you will paddle a 46-mile section that forms the boundary between Jasper, Tyler, and Hardin Counties. This scenic area is abundant with wildlife and contains numerous cypress swamps intermixed with pine and hardwood forests. Stop for a catered Thanksgiving dinner on one of the many sand bars that lend themselves to camping. Lake Somerville Ice Cream Social Campout This is a late summer weekend car camping trip from Birch Creek State Park in Somerville, TX. Saturday sees a day trip of 7-10 miles to various lake destinations with plenty of time to play in the water and beat the heat. Bring a picnic lunch; later you'll stop for an ice-cream social followed by an evening trip to a local restaurant for dinner. If the moon is full we take a moonlight paddle to watch the stars. Sunday's paddle destination is at the discretion of the group. 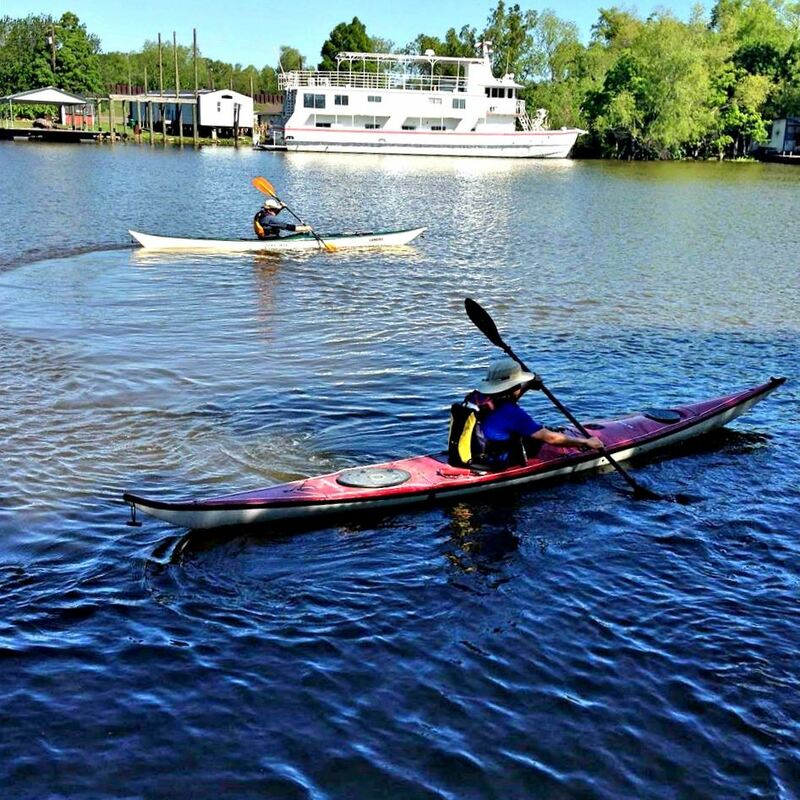 This is a 3-day level 1 paddle trip in which participants stay on a houseboat in Morgan City, Louisiana. 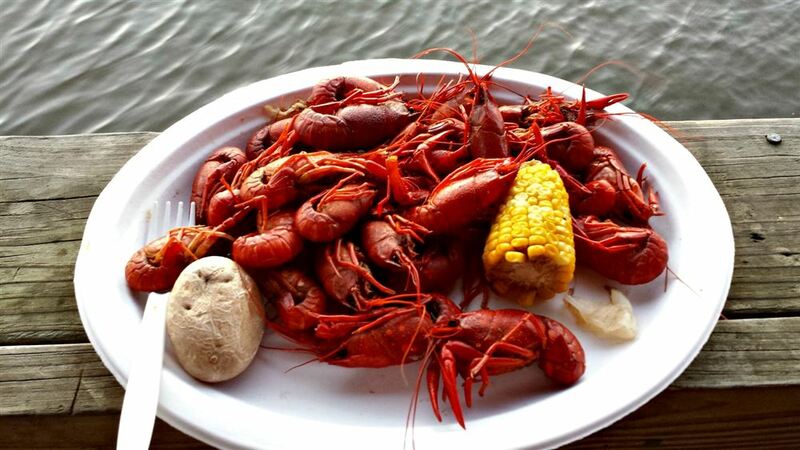 During this trip you'll share meals family style, celebrating on Saturday with a crawfish boil. The trip starts Friday evening with a 4-5 mile paddle to the lower section of Lake Verret. Saturday's paddle takes us 9 miles south down Bayou Magazille to Grassy Lake, and on Sunday we paddle 9.5 miles up Bayou Long and back before returning to Houston. Palacios Fireworks Paddle This 2-day level 2 trip starts with a daylight paddle in Tres Palacios Bay, followed by dinner at a local restaurant. At night we go back out on the water to watch the Palacios fireworks show over Tres Palacios Bay. Afterwards, we stay in one of two simple but charming historic hotels nearby. The objective of this training is to teach first timers/surf skills novices how to safely launch and land in moderate (2 ft or less) surf. You will learn unassisted launching techniques, an effective low brace to remain upright in breaking waves, how to paddle out through the break, and how to paddle back to the beach under control - both bow first and stern first. In this training you will get a refresher on the 1st Timer/Novices surf skills, plus learn how to paddle forward efficiently with waves breaking on your gunnels, how to read to surf to find the path of least resistance for paddling out and back in, surf zone kayak safety considerations, and if conditions permit, some kayak surfing skills. In this 8.6 mile, level 4 trip we will launch in the surf, paddle out beyond the outer most break, then paddle parallel to the beach using the tailwind and swell surfing to get the best possible pace. 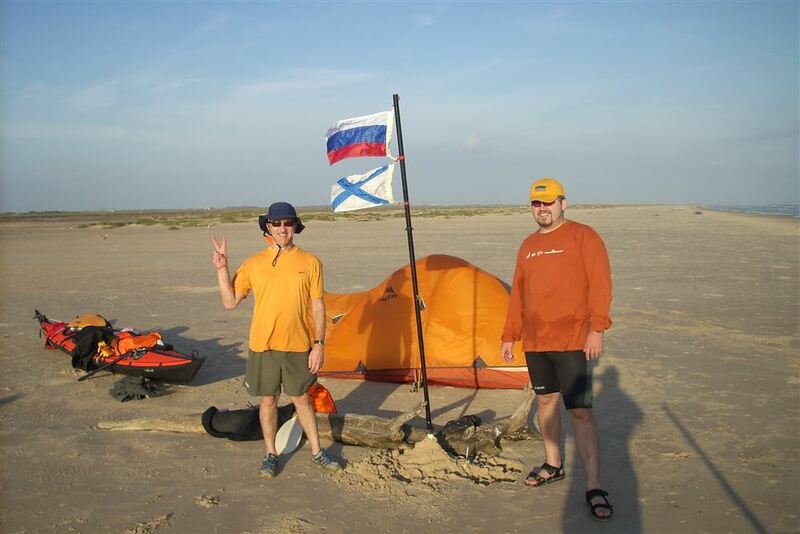 We'll land through the surf and lunch on the beach, then repeat the cycle to paddle to the take out point. The goal is skills/pleasure paddling, not mileage. We will stop to let rollers practice rolling, and to allow anyone who wants to practice assisted and self rescues in the swell. 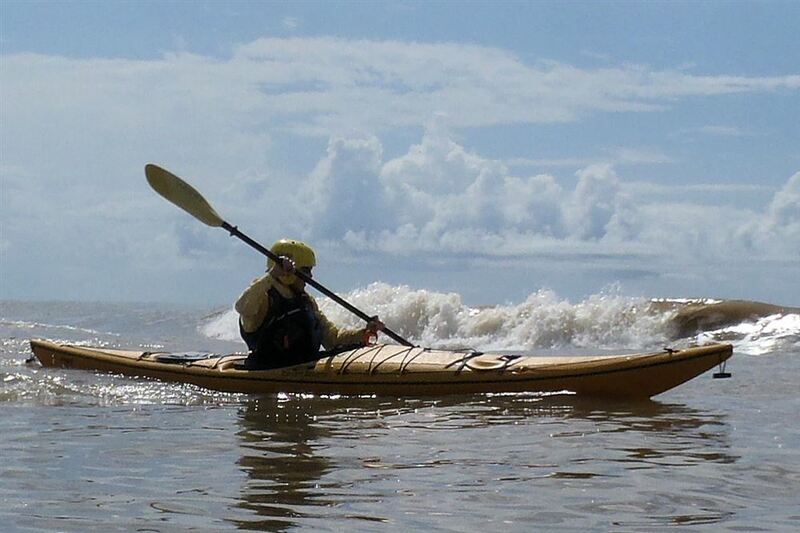 San Luis Pass Gulf Side Paddle This 8 mile, level 4 trip is all about experiencing San Luis Pass in winter rough water. Paddlers must have demonstrated appropriate safety skills and must have appropriate cold weather gear. On this trip you'll launch and paddle out through the Pass, then paddle southwest down the beach just far enough off shore to stay out of the the surf zone and away from wade fishermen. We stop on shore to each lunch before paddling back to the put in. 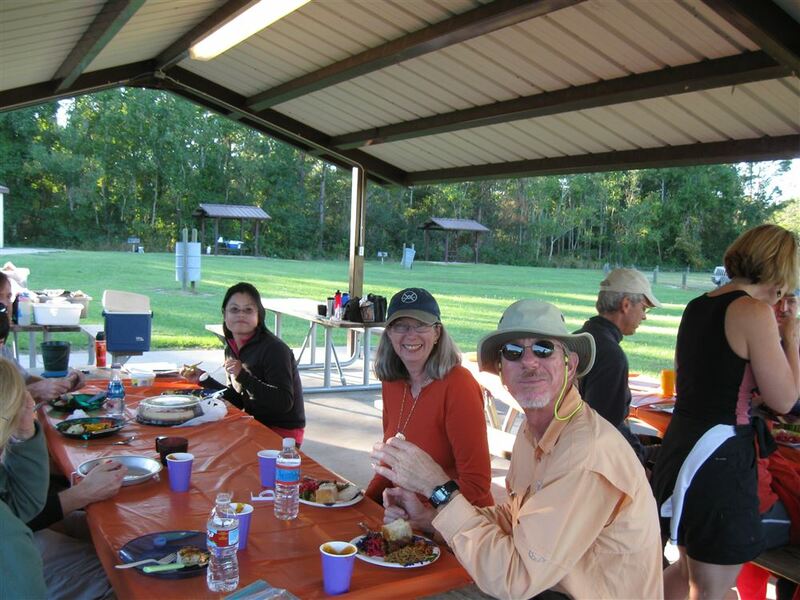 Join us for a day of food, fun and paddling at Lake 288 in Pearland. HASK provides sandwiches and drinks; bring a side dish to share. Paddle a variety of kayaks belonging to other HASK members. Bring your own boat and practice your strokes, work on a roll.... or you may want to bring a lawn chair and just hang out and socialize. This is an excellent opportunity to get to know other HASK members. Guests are welcome. 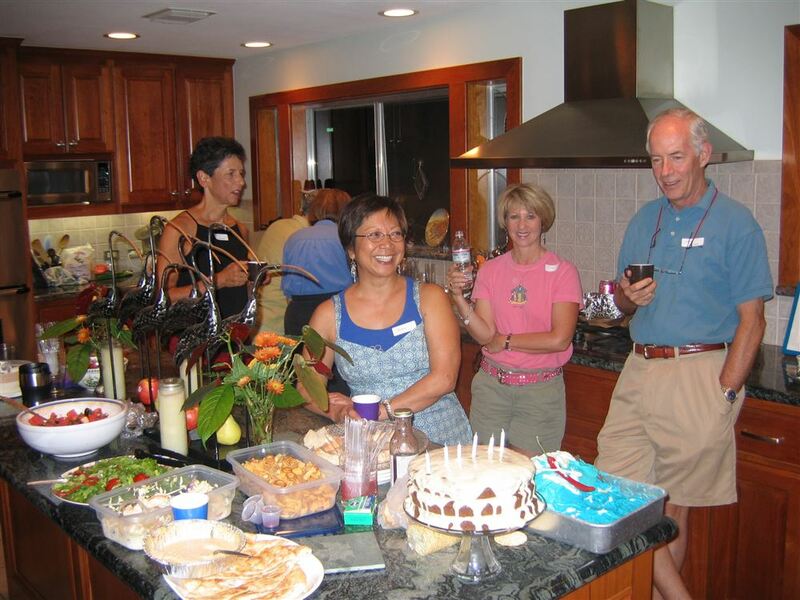 Join us for an end-of-summer pot luck supper hosted by the Fleet Captain and Club Treasurer. HASK will provide the meat and bread. Bring a salad, vegetable or dessert plus your beverage of choice and spend a pleasant evening socializing with your fellow paddlers as we gear up for the busy fall paddling season. Dig out and throw on your old tie-dye t-shirts, commune attire, sandals, granny or hippi-chick dress and join us for an Indian Summer morning at Houston Famers Market. Bring a few bucks for a fresh cooked breakfast, coffee and great locally farmed organic produce. Bring an insulated bag to take stuff home. We will meet and set up folding chairs in one of the covered parking areas near the market. Let your hair down, squeeze the peaches and we'll look for you after 8:30 am. The market is open from 8-12. Join us for the HASK Christmas party. Bring your favorite dish to share and the beverage of your choice. We'll visit to Christmas tunes and a beautiful view of the Bay. Our venue will allow you to enjoy the Christmas lights in the Kemah entertainment district without having to fight the traffic. There will be an optional paddle starting earlier in the day.